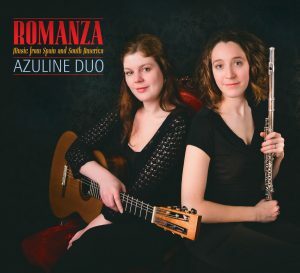 Azuline Duo features award-winning young musicians Sara Traficante (flute) and Emma Rush (guitar). This ensemble pushes the boundaries of their instruments and conventional programming with unusual and rarely heard pieces both historical and contemporary, and a dynamic onstage presence that engages the audience from the first note. Their newest program Romanza - Music of Spain and South America showcases the rich history of the guitar and the brilliant voice of the flute in an exciting chamber music setting. The program represents many different aspects of this repertoire. From Spain, we hear the ethereal sounds of Rodrigo's Aria Antigua, the passionate Spanish Dances of Enrique Granados, and virtuosic transcriptions of the gypsy-flamenco music of Manuel de Falla. As the music of Spain travelled to South America one encounters a different scene: the haunting rainforest soundscapes of Villa Lobos, punchy Afro-latin rhythms of Machado and Pujol, the pure energy of Merlin's Joropo and, of course, the sultry sounds of Buenos Aires in the tango music of Piazolla. This program is a favourite with all audiences, combining lyrical sensitivity and showstopping technique in a compelling and unusual presentation. 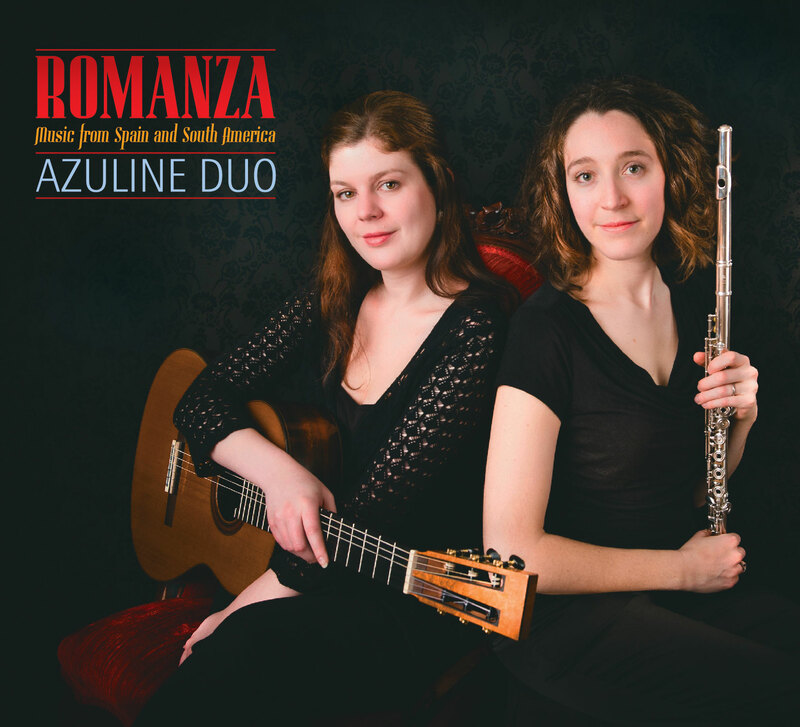 Azuline Duo released "Romanza" in September, 2016. The album is available on www.azulineduo.com.